As Jeevan attempts to resuscitate the actor he was moments ago watching play the lead in King Lear, the pandemic is already spreading. He fails to bring the well-known actor, Arthur Leander back to life and by the time he leaves the venue his girlfriend is long gone. As he begins his wintery walk home he receives the call from his doctor friend, warning him to get out of town, that an incredibly contagious and fast acting flu is spreading fast. When the Georgian Flu broke out it killed ninety-nine percent of the people it infected and twenty years later the world is a different place. A girl that played one of the King’s daughters in that same production is now part of the Travelling Symphony. A band of actors, actresses and musicians that have been together for years. They stay on the move, usually welcomed for a couple of days here and there in the tiny congregations of people that have slowly formed. Some are full of thieves, killers or religious cults but some are just like them, simply trying to get by and make some sort of life for themselves in the wreckage of a devastated world. Opening with scenes from King Lear, Station 11 instantly introduces the character of Arthur and although he may not be considered the main character in himself, he is the man that connects all the survivors you meet and therefore weaves the tale together. From these first you pages you are guided from a beautiful wintry wonderland into the breakdown of life as we know it. As Jeevan finds out about the seriousness of the outbreak before most people you are not privy to the sudden madness you are often exposed to in many dystopian novels but a quietly understated and isolated panic that is just as unnerving. Especially when he’s filling his trolley with food repeatedly wondering who to warn and who to stay away from. This novel never breaks into the ‘panic tropes’ of the genre, it concentrates on the first couple of days of the outbreak and then the survivors twenty years later. Station 11 is an intelligent and haunting look at relationships, memories and what drives us all. It’s dark and disturbing, just as a story such as this would have to be but in more tender ways than you might expect, for example by describing a devastating gunshot rather than a description of the death itself. Overall Station 11 is an incredible novel that has you dying for more when you finish the last page. Clever twists, turns and connections left me grinning in appreciation and I can easily see the television or movie rights being nabbed up for it very soon (if they haven’t already). 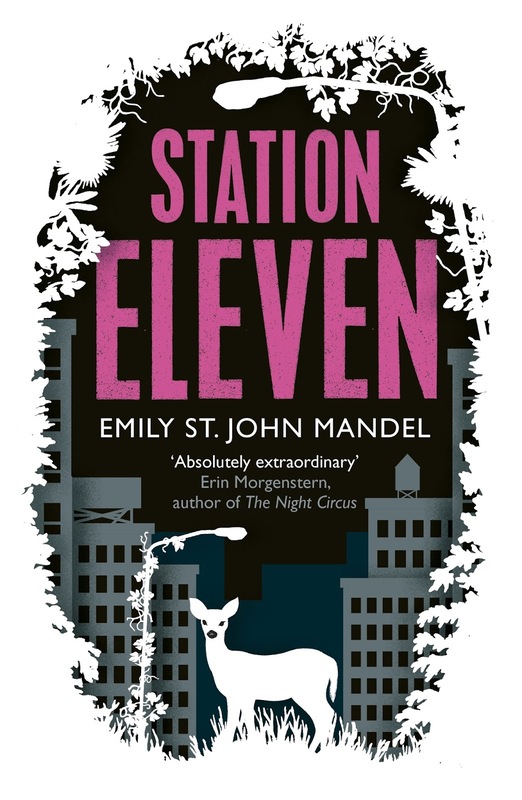 Station 11 is a must read for 2014 and I just hope there’s more coming from Emily St. John Mandel soon.